Nissan Motorsport’s 2017 driver line-up is far from locked away, according to team co-owner and driver Rick Kelly. 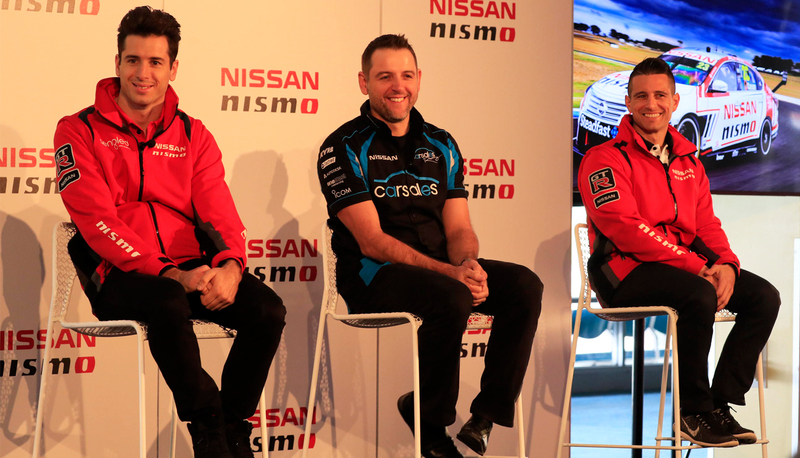 At today’s press conference, the brand announced its commitment to Supercars and the Kelly’s team for two years, confirming front-running Altima driver Michael Caruso would continue on with the squad across that period. 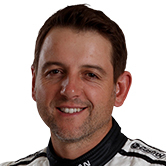 While driver and co-owner Todd Kelly expressed his desire to race on, Rick said neither brother was a certainty moving forward as the team weighs up options for 2017. 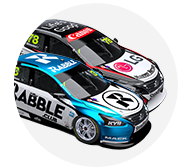 2010 champion James Courtney has been linked with the team, as well as incoming female racer Simona De Silvestro, who has been confirmed for three years in the category, though her team is yet to be announced. 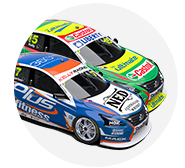 Nissan is running a fifth car to field the wild card entry she shares with Renee Gracie at Bathurst this year, switching from racing a Prodrive Ford next year. Dale Wood races in the team’s fourth seat this year with support from personal sponsor GB Galvanizing. Both Kelly brothers and Caruso were present at this morning’s press conference, but Rick said they were only ready to confirm “the best performing driver in the team” with the other three seats to be finalised. 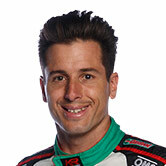 “Today we are confirming one current driver not the other two … certainly just one,” he said. “Next year we need to put ourselves in the best possible position we can – first in results, and then other aspects we require from drivers in profiles, and all the other things that we measure drivers on. Inconsistent results for Todd – who balances running the technical side of the team, while Rick helps handle the commercial – has meant speculation over the last few years about his retirement. Having established a strong technical department and happy with the progress of the VK56DE engines, Todd has been able to focus more on his racing this year, with results including six top 10s, a front row qualifying result and 14th in the Championship compared to Caruso’s ninth and Rick’s 12th. “I’m just starting to come good – I’m really enjoying driving,” Todd said. “Over the past three or four years I’ve had a few shoulder operations and a few injuries, which I’m completely back on top of physically. “A really big thing in my life is that carsales has become so passionate … my focus is 100 per cent to do the best job I possibly can for carsales and obviously for Nissan. “Every now and then in these things it gets brought up – I’m not even thinking about not driving the car. “And the team’s at a point now where it’s the easiest than it’s ever been to run with Scott Sinclair and Neil Price and all the guys we’ve got in at the workshop. “It’s the place we would’ve liked it to have been right from the start – obviously it takes time out build it. In his opening speech Nissan Motor Co (Australia) Managing Director and CEO Richard Emery, said Todd “committed so much of himself to car development in the early years [and has] got what it takes to still be mixing it at the front of the pack”.